funny to see! That’s why we’re giving you the opportunity to share your pet’s travel personality with us in our new Pet-n-Rides Photo Contest! 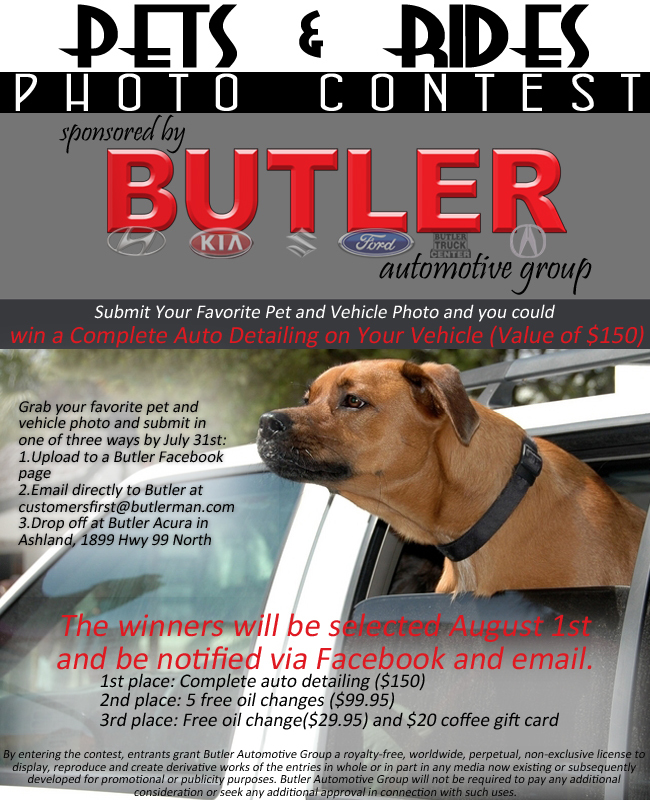 it to customersfirst@gmail.com, post it to our Butler Auto Group Facebook page, or drop it off at our Ashland location at 1899 Highway 99 North. We’ll post all entries on Facebook for the world to see. Then, the judges will get their say on July 31st. Check out the flier for the prizes… they’re fantastic!